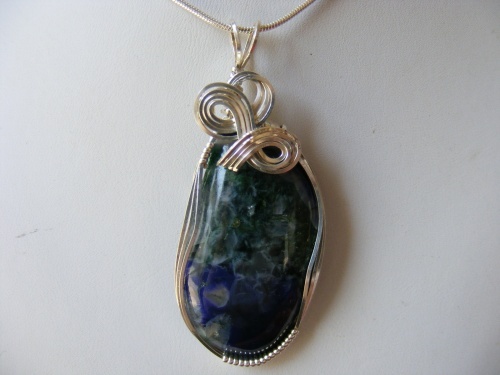 Like the deep blue sea, this Azurite Malachite gemstone has swirls of deep blue and green marbeling across its surface. This unique stone is embellished with sterling silver bow like design making it really contrast and pop. Piece measures 2 1/8" from top of bail to bottom of pendant and, 3/4" wide. Cmes with a sterling snake chain.